The Design Team at Ruach dreamt of a pedal that was bold; both sonically and aesthetically. 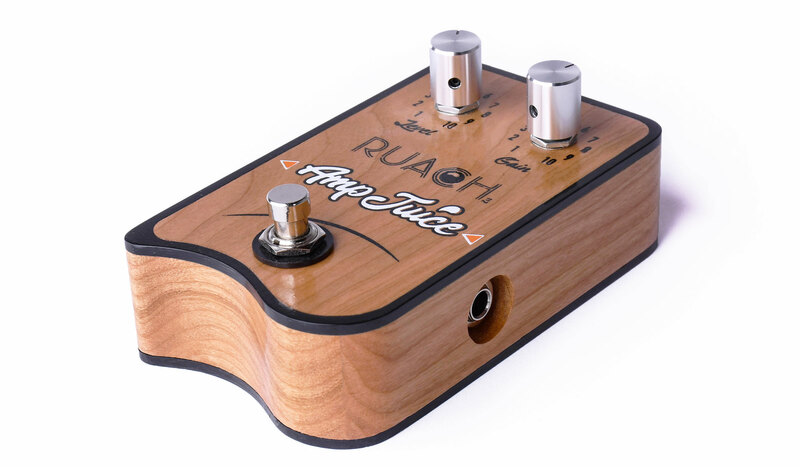 The Amp Juice is the manifestation of this dream…want to try? 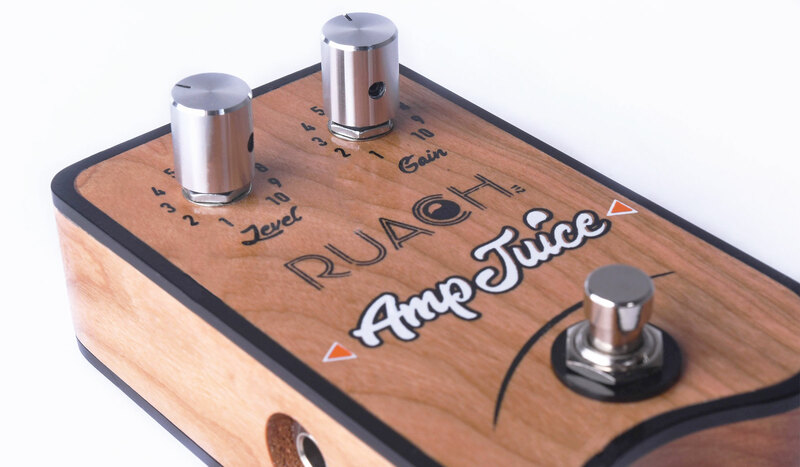 The “Ruach Amp Juice” is a fully analog Drive & Boost pedal. 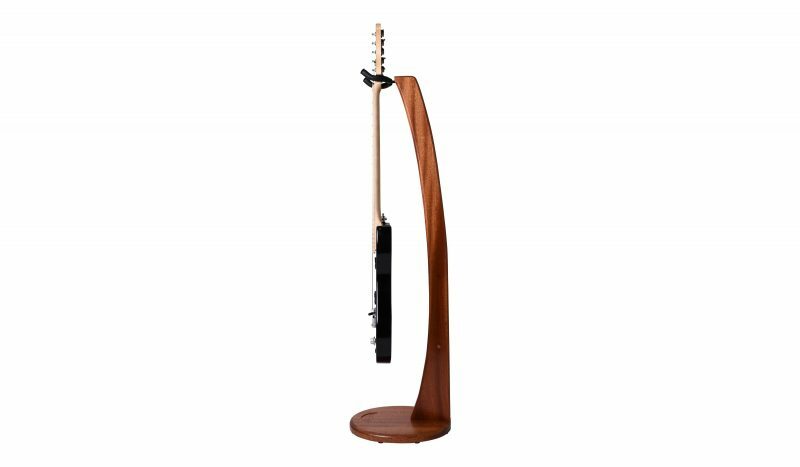 With bespoke circuitry designed to react to all the subtle nuances of an individuals playing style and technique – it also offers a massive boost in volume perfect for switching between guitars with unmatched outputs, or adding that extra punch to solo’s and choruses. 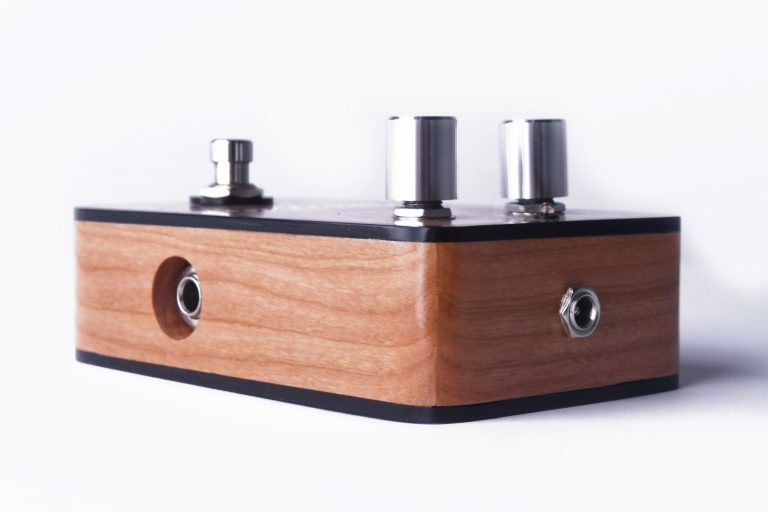 It features a simple two control design of ‘level’ and ‘gain’ much like a mini amp in itself; with the ‘level’ set at 0, no signal whatsoever, and as you dial up it offers a massive range of volume. With your ‘gain’ low your tone is unaffected, and as you dial up it offers everything from subtle crunch to full blown overdrive. 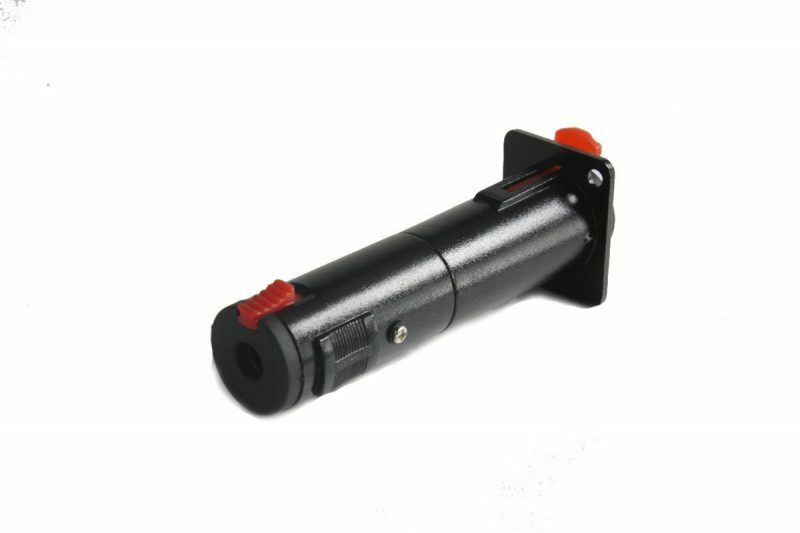 Blend between the two and you find your sweet spot. 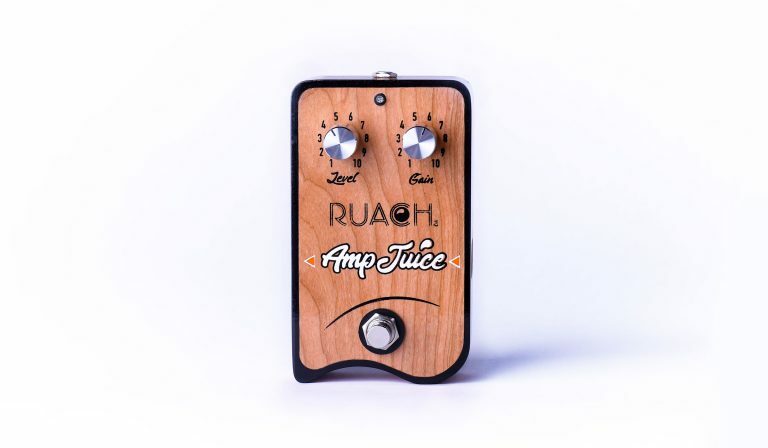 Regardless of genre this pedal has a place on any board. 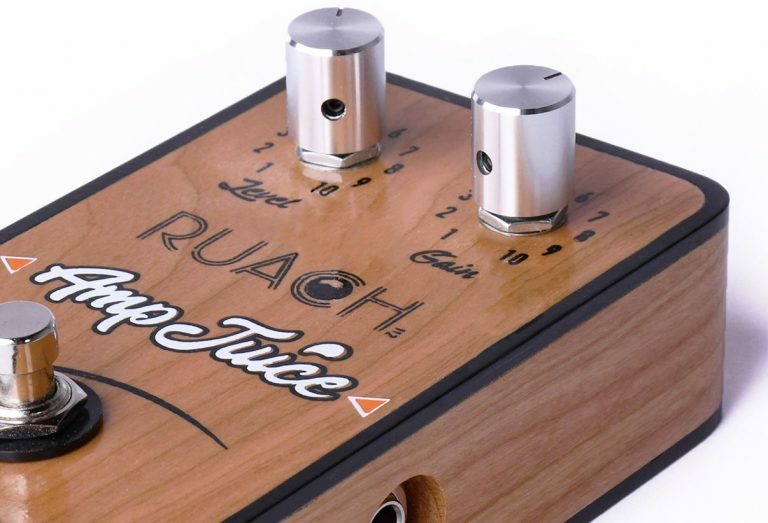 Using inspiration from the Ruach signature teardrop to shape its form, and combining a beautiful blend of natural and manmade materials – the unique handmade enclosure reiterates its individuality as a pedal.